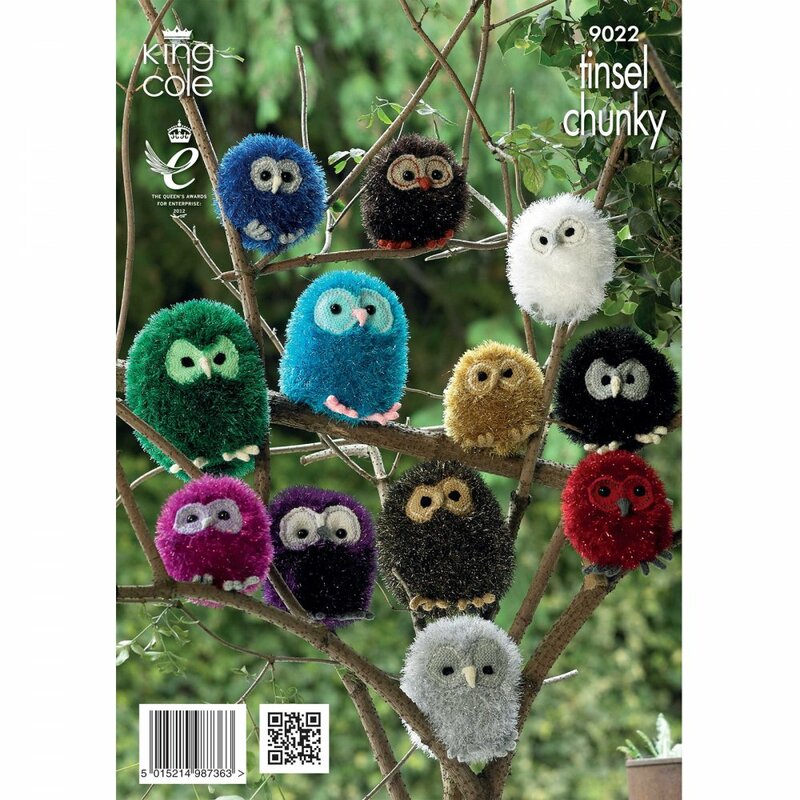 This King Cole 9022 knitting pattern leaflet will instruct you how to knit an owl. If using a different yarn, tensions may vary and we recommend that you knit a tension square before knitting the whole item. Please note that this is a knitting pattern and NOT a set of finished items. All knitting instructions are written in English. Pattern number 9022 from King Cole. A bit about the brand: Established in 1935, King Cole Continues to innovate in yarn production, design support and point of sale material. King Cole's comprehensive stock of hand and machine knitting yarns is available in a variety of shades and in qualities ranging from 100% Acrylic to 100% Wool. They also supply an ever increasing range of pattern designs and knitting books.